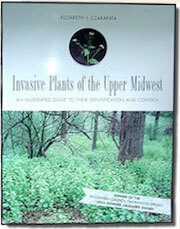 IPAW is proud to offer the book Invasive Plants of the Upper Midwest. This is a superlative resource by Elizabeth J. Czarapata. It is a comprehensive guide to the identification and control of invasive species in our region. This fully-illustrated text is a must-have for professional resource managers, volunteers and landowners alike. 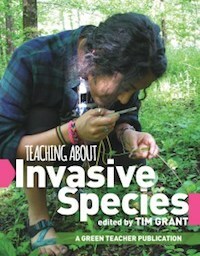 Teaching About Invasive Species is designed as a tool kit. Whether working inside or outside schools, youth educators will find in Green Teacher’s new book the innovative perspectives, program ideas, games and activities that they need to engage young people from 6-19 years of age in this challenging topic. Invasive species, if unchecked, will continue to have significant negative impacts on our environment and on our economy. Fortunately, the spread of many invasives can be checked. To succeed, we’ll need effective education strategies to be widely deployed. This book aims to fill that gap. Included in its pages are descriptions of 11 innovative, youth education programs, and 20 ready-to-use activities that are appropriate for various age groups.